Buy & Sell Corner: [USED] ZTE R236 Dual Sim Mobile Phone for Sale! 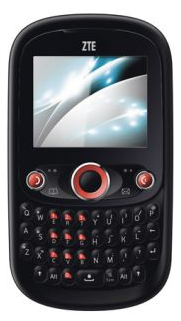 [USED] ZTE R236 Dual Sim Mobile Phone for Sale! Sporting a minimalist design with a contemporary black colour, the ZTE R236 gives a new definition to calling in style. This phone supports GSM band capability of 850/1900 or 900/1800/ and a variety of functions including a 0.3MP camera that captures your memories in crystal clear details. Reason for sale: Upgraded to smartphone.